Pallet racking beams are designed to provide strong horizontal support which is why they are most commonly referred to as the ‘horizontal’ or ‘load’ beans. What’s interesting about pallet racking beams is that they have strong load capacity and outstanding design. They can be easily installed and configured with any existing pallet racking system. Your only obligation is to find the right pallet racking beams. And since they are available in several sizes and weight capabilities, you might find this task a bit overwhelming. Therefore, choose the ones that are compatible with your racking systems to provide full protection of your load and increase warehouse productivity at the same time. Here’s what you need to look for. Know The Type of Load – It all depends on the load. Therefore, determine the width and the height of the pallets before you purchase pallet racking beams. Know what you plan to store on your racking system before you make the final decision. The actual dimensions of your pallet loads will determine the capacity of the beams. Determine Beams Width – Width is another thing you need to bear in mind when choosing the right pallet racking beams. The easiest way to determine how wide your beams need to be, is to measure your pallets width and add 5 centimeters between each pallet and the upright. This will provide easier retrieval and placement. Most commonly 2 pallets go on one beam. Therefore you need to multiply your beam length by 2. Do the math. For example, if the load width is 100 centimeters, multiply it by 2 (that’s 100 x 2 = 200 centimeters beam length). Load Capacity and Beams – Pallet racking beams come in different sizes and designs. The way the beam is constructed affects the capacity to hold heavy loads. 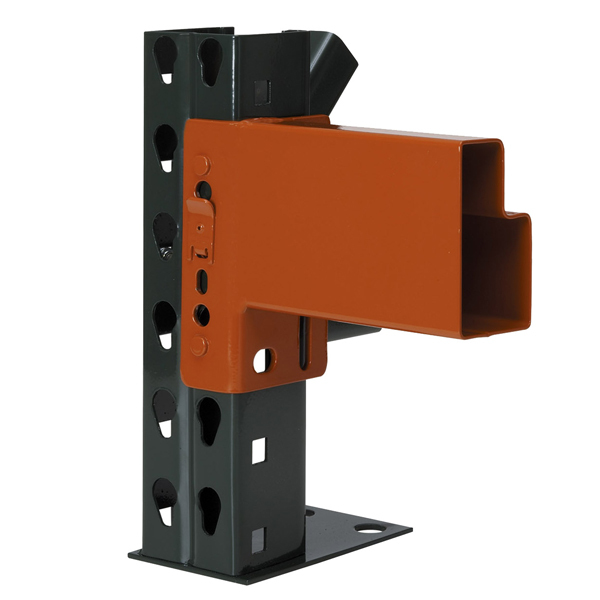 For example, if you take a 100mm beam that comes with 4 connectors (that hook into the upright) the load capacity can reach up to 2000kg per pair. That doesn’t mean that you can store 2000kg on one side and none on the other. The weight of the load must be distributed equally on both sides. Now, if you have one heavy pallet, then place it in the middle of the beam. Bottom line, the longer the beam is, the lower the load capacity.